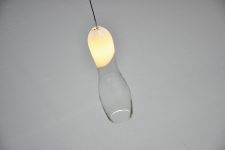 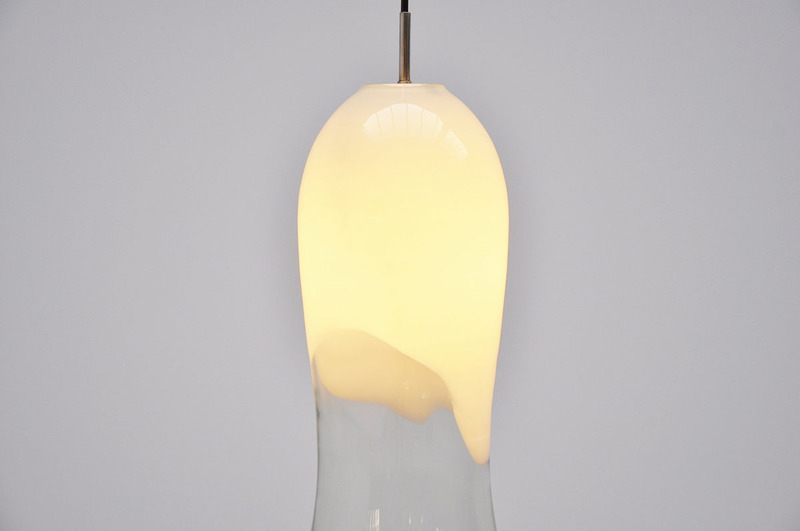 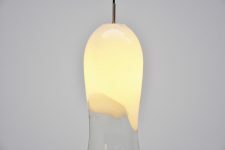 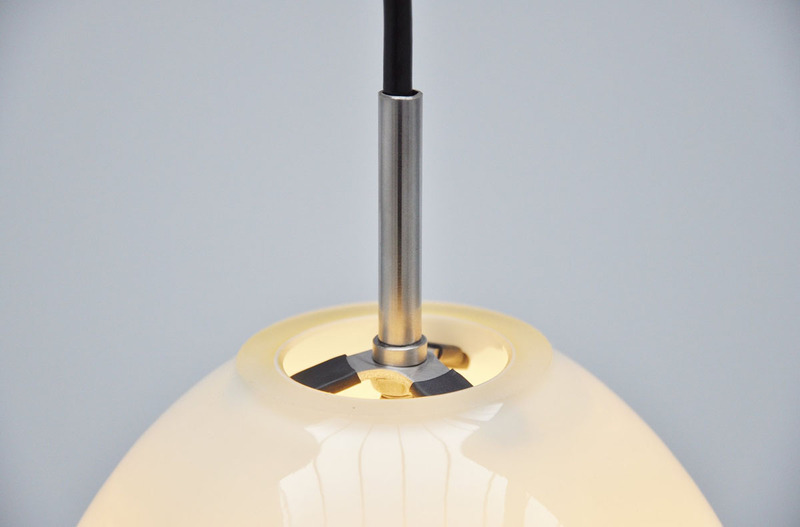 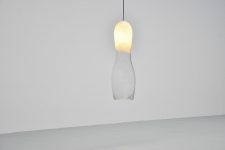 Fantastic big pendant lamp by Gino Vistosi from the ghost series. 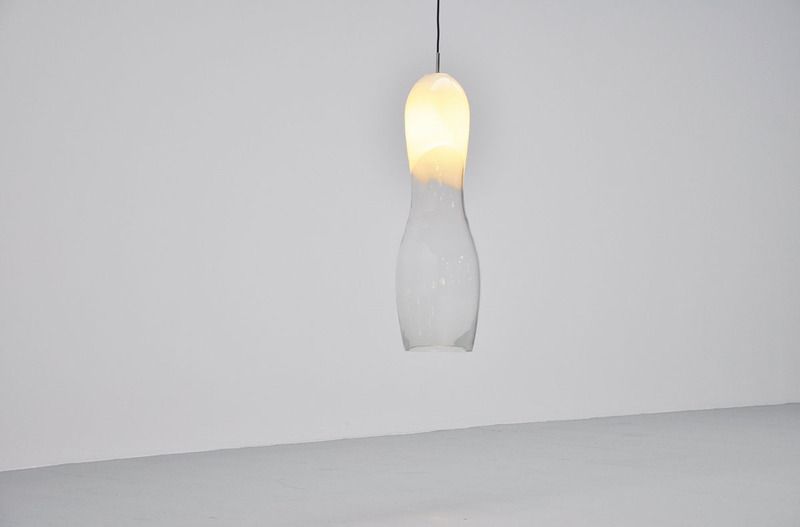 Half milk half transparent glass. Nice light effect when lit.